I read this article and found it very interesting, thought it might be something for you. The article is called Whole Wheat Flour – Which Brand is Best? 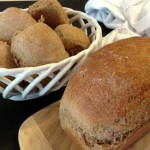 and is located at http://www.gardendish.com/whole-wheat-flour-which-brand-is-best/. Don’t you just love the smell of homemade bread baking in the oven? Can you imagine it now? A beautiful golden loaf of soft, yeasty goodness being pulled from the oven, and placed carefully on the kitchen counter to cool, while eager family members “ooh” and “ahh” at the spectacle, asking “can we have some now?” There’s nothing like it. My family and I hover around a loaf hot from the oven, waiting for the second, the moment, when it’s cool enough to handle, but still warmly giving off that heavenly aroma. 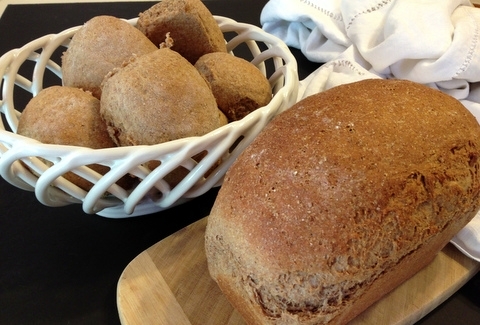 The softer texture and slightly sweeter flavor of the To Your Health 100% Whole Grain Sprouted Red Wheat Flour was preferred by 9 of the 13 tasters. The other two brands were very closely rated in second place, due in part to a few testers not detecting any difference between the three breads. I now keep both regular and sprouted whole wheat flour on hand for bread baking. I don’t think you can go wrong with any of the brands we tested, but isn’t it fun to know there’s a difference? As usual, I’m posting the results as a reminder to the taste-testers. I hope these results are useful to you, but in the end it’s all about what you like.